I have just returned from a trip to Kanazawa University, located on the central west coast of Japan. Aside from enjoying the fabulous Japanese hospitality from my colleagues there, we got to do some awesome science on bio-aerosols. This involved adapting a helicopter to accommodate our air filtration and analytical devices, designed to measure particulates, chemistry and biology of aerosolised desert dust (known locally as kosa). 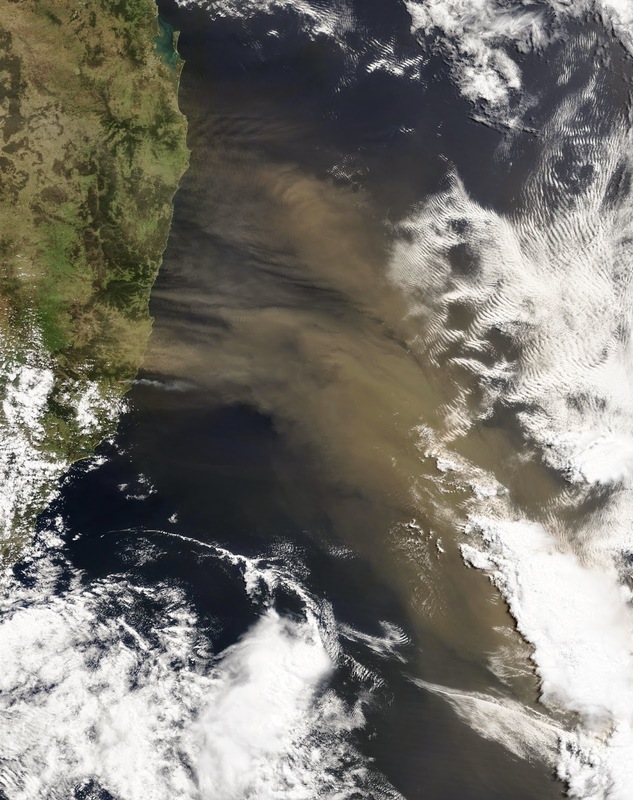 The dust arrives via the air stream that flows from the Gobi and Taklamakan deserts over China, Korea and the Sea of Japan before landing in Kanazawa and the surrounding area. We collected samples from an altitude of 1500ft, and it was immediately obvious that there were significant amounts of suspended dust. This contributes to social, economic and human health problems, as well as acting as a vector for long-range transport of propagules. Our experiments will be replicated in New Zealand during the coming months, where we will characterise the dust that arrives in our fair land from Australian deserts. This is something that has been happening in New Zealand for a long time, and indeed was reported in the Journal Nature as early as 1903. Worryingly the severity and frequency of dust storms worldwide is increasing as climate changes, and so we can expect to gradually acquire more of Australia in this way. At the height of the last major dust event in 2009, some 75,000 tonnes of dust per hour were being dumped into the Tasman, the equivalent of around 50,000 Holden Colorado utes falling from the sky every hour! Our dust problem is not all imported either. Vehicle emissions and fuel burning alone release the equivalent of 200 bags of cement to Auckland’s air every day, and despite being a great city the relatively high rate of asthma (1 in 4 Auckland children are sufferers) suggests we need to be more mindful of what is in our air.